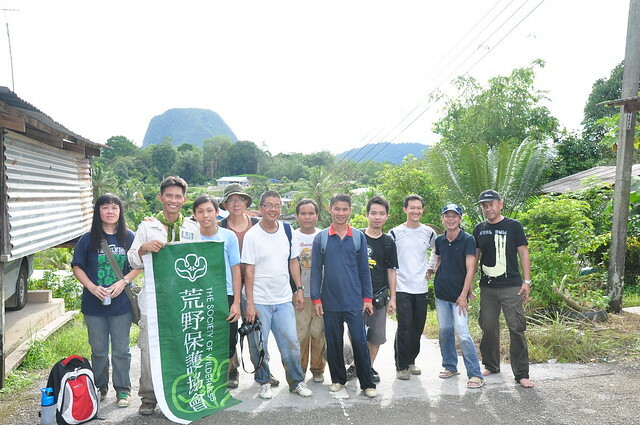 I was invited by a group of close friends for a trip to a cave at Tebakang, Serian. 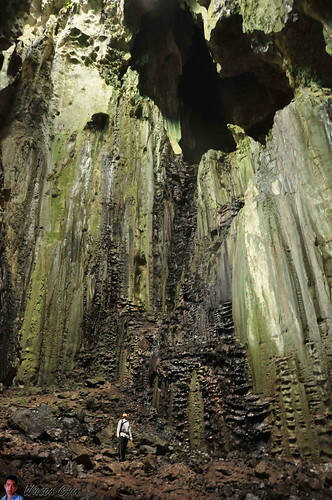 The name of the cave is called The Silabur Cave (Gua Silabur). 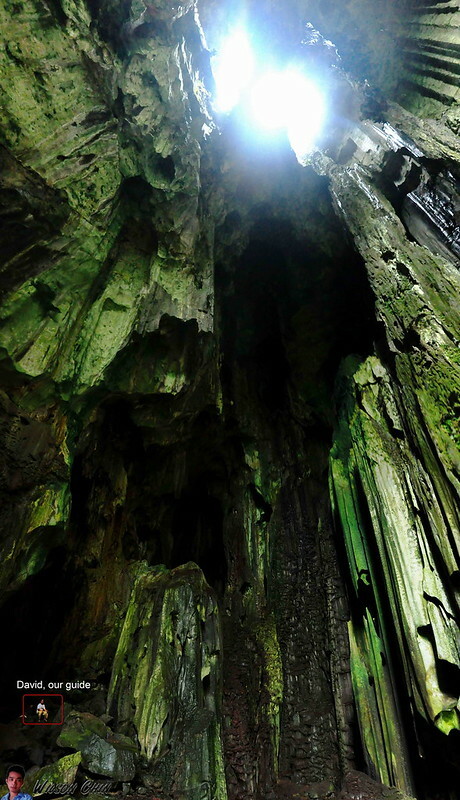 Tebakang, is a place with striking limestone hills with vertical cliffs. Start our trip at 7am in the morning, after an hour drive we reach a place called Tebakang at Serian. I haven’t been here for more than 10 years, I remember one of my uncle had an omni shop here, and each time when we’re at Kuching we will drove here and visit him. 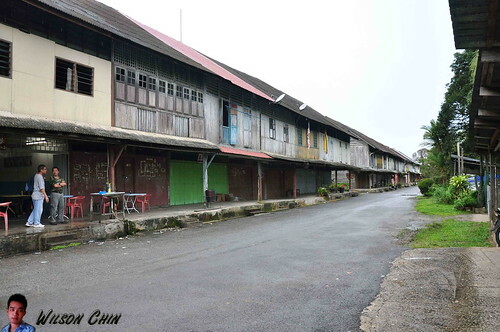 Tebakang is a place with just one row of wooden shop houses. And opposite the shop houses there is a river, my brother and I will always go and swim in that river with our cousin. That morning, I revisit that river again, and boy time sure flies. Now that row of wooden shop houses are nearly abandon. 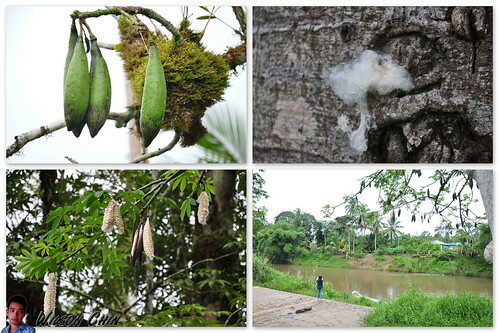 Next to the river, I saw a tree, my friend told me that it was the Kapok Tree, and the fruits is not for us to eat, but it will produce cotton. This is the first time that I seen a cotton tree. After a short stop at Tebakang, we drove for another 30 mins to reach to a village called Batu Mawang, Batu LIN (this is what it shown on the signboard). 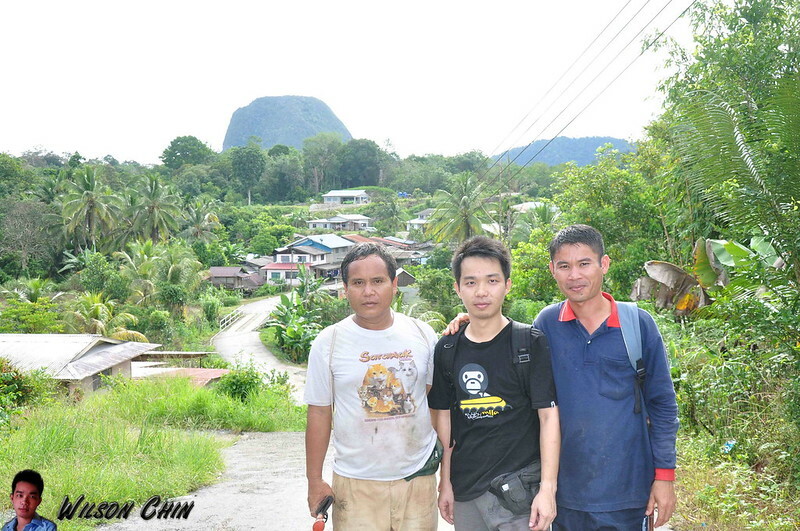 This is a Bidayuh village, and from the entrance we can see the mount that we planned to go. 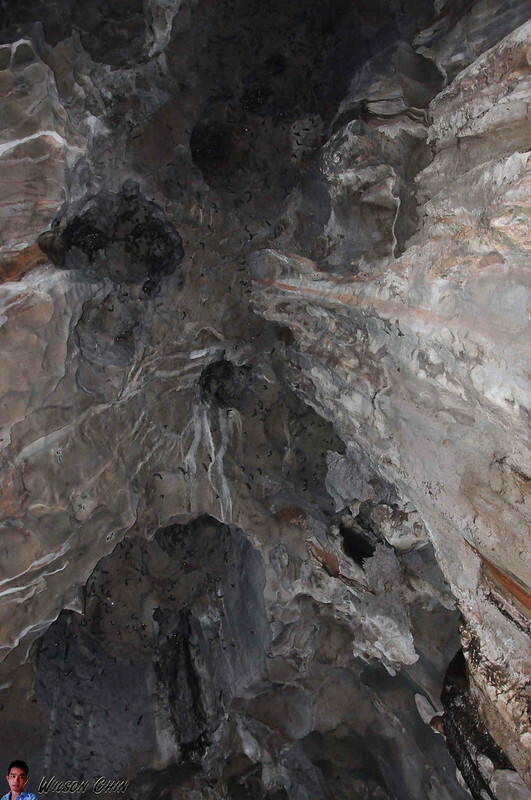 The cave is at the mid section of the mount. 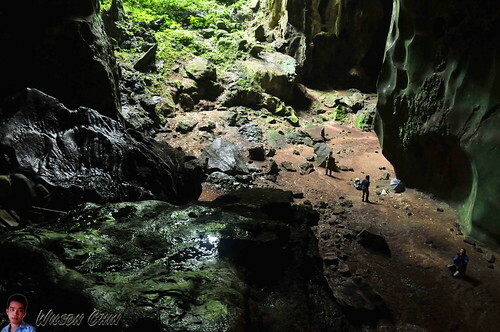 But to go caving, we need help from the locals to lead the way, and to help us navigate while we’re in the cave. They have been in the cave since they’re kids, so they like the place like the back of their hands. Two of our guide, name Benedict and David which will guide us for this trip. Just when we’re about to start our journey, the drizzling starts. So for this time, I have my Nikon D90, my flip HD cam recorder, and my mobile. I will not get any of these device wet again. Learn from past experience, this time I bring rain coat. We start our journey at around 9.30am and reach the foot hill at around 10.30am. Along the way there are a few small size paddy fields. I feel very warm, cause wearing a raincoat. Can’t take my camera out for picture, I just shoot video along the way. Then we start to go uphill, it was a slippery and muddy path. I’m wore a normal sports shoes, the grip is not that good, nearly fall down a few times. I need to get a shoes which is suitable for this. So long long time ago, the Bidayuh people here will have this harvest festive celebrate once every year. On one harvest festive celebration night, there is an old man who live in the village. The old man have one grandchildren who stay together with him. For the kid parent is nowhere to be found after they went out for food, some say they were killed by the head hunters, some say they were eaten by animal. On that festive celebration night, the old man was eating Kasam Ikan (a local food which they marinade the raw fish with rice and salt, put all this in a tight jar, leave it in a dark corner for a month or so and eat it), but one of the village people mix the fish with the rubber tree fruits to play a joke with the old man. The old man eventually ate the rubber fruits too, and got laugh by the village people. And the old man called his dog, he tie a bell on the leg of the dog, and asked the dog to bark at the village people. The dog starts to chase after them, and due to the bell, the old man will know the where his dog is. But all of a sudden the sound of the bell is gone, complete silence. The old man keep on calling the dog to come back, but it never return. The old man cried, and while his crying, the sky start to rain. The wired thing is the sky rain rocks instead of water rain drops. The rain becomes heavier, and soon when they know it, the rocks has then form the mount, and also the cave. So this is how the legend of the Silabur cave came from. We walked for about 15 mins, and then we reach a huge chamber! This place is really huge, hard to imagine how mother nature can create such huge place inside a mountain. There are water dripping from the high up, and the rocks that the water been dripping has slowly form a bowl shape, amazing. We enter the cave at 11.45am, and out from the cave at around 2.30pm. I don’t know how to use words to express my feeling and how amazing the cave is. 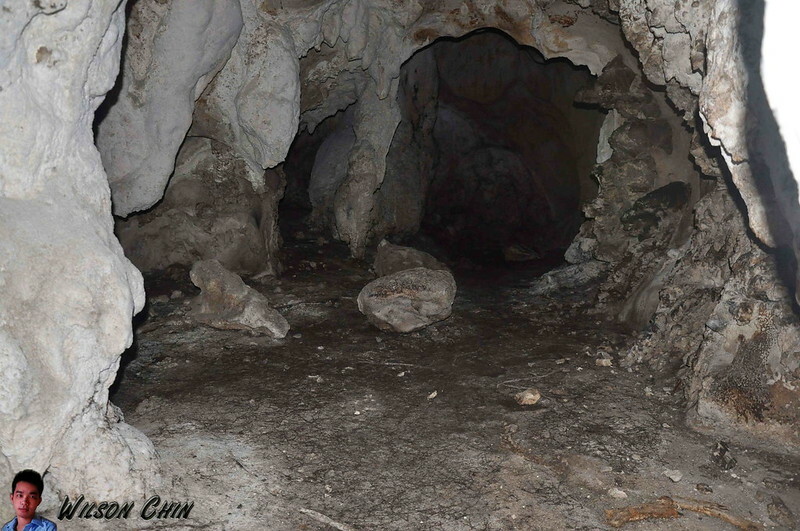 The cave tunnel system are connected to an unknown location to me, and the bats and swiftlets that stay in the cave are everywhere. 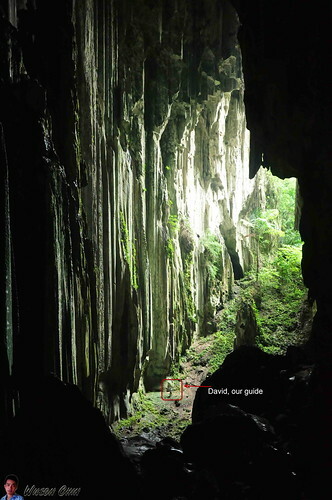 I am amaze on we have such wonderful cave at Kuching, this cave can definitely compete with the Niah Cave which situated at Miri. The old Tebakang town, miss this place. Use to follow my parent come here to visit my uncle. Kapor tree, this is the first time I saw cotton tree. The paddy field that I saw when going to the cave, it was plant by the local Bidayu people there. Interesting rock formation, looks like a .... I will leave this to your imagination. 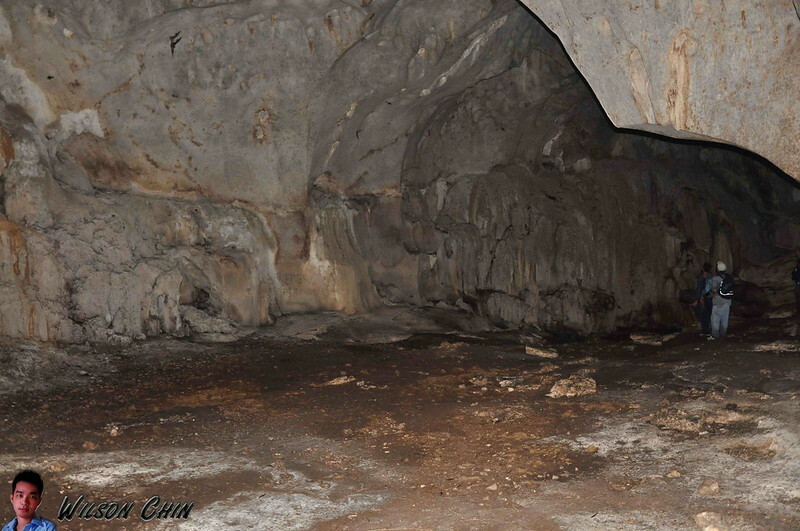 One of the cave chamber, look how large the chamber are. One of the exit of the cave, this cave has a lot of tunnels which links to each other. Our guide David is so tinny down there. 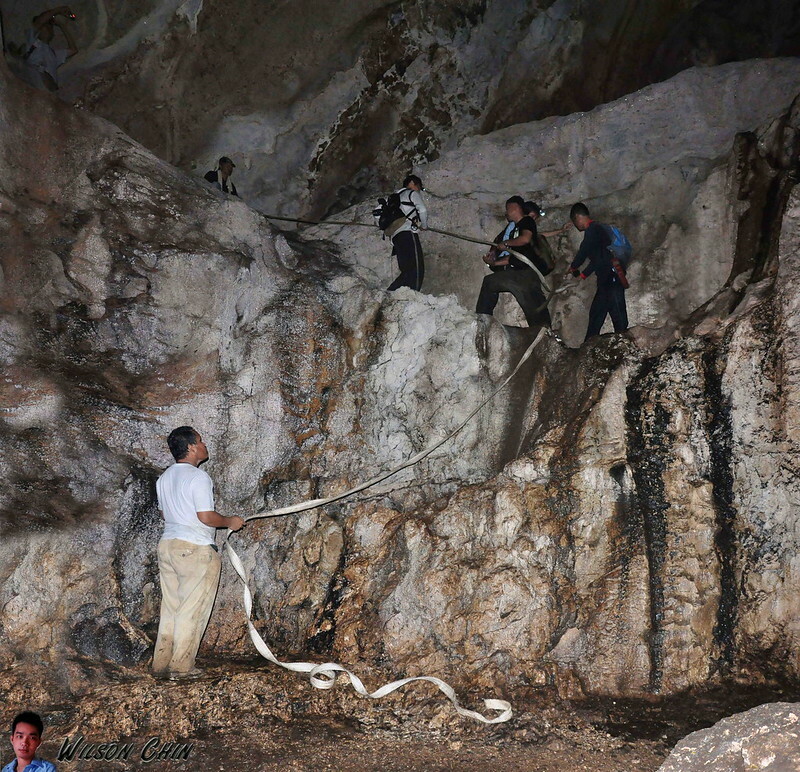 We need to climb down there, its very humid in the cave. This is a cave pith black, can't see anything inside. I'm using my internal Nikon D90 flash to took this shoot. Tunnels again, I don't dare to explore alone. The bats up there give my goosebumps. When the flew, it forms a strange wave sound. Another steep climb, luckily we have two experience guide. They grew up in this village, so the cave is like their childhood playground. We continue explore on the cave. David is tired, after escorting us down the cave. 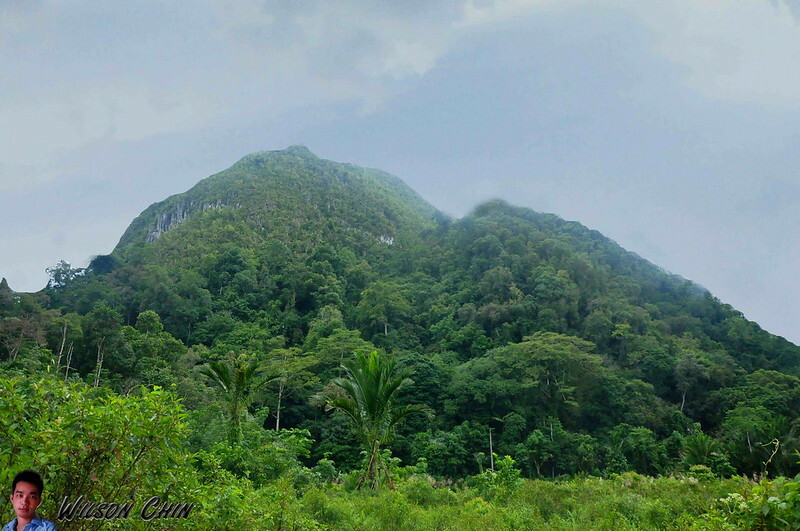 The full view of the Mount Silabur. Our guide: David, Wilson Chin (me), and Benedict. Very nice people. I came across this blog by accident while trying to get info on Annah Rais Hotspring. It's a nice blog. 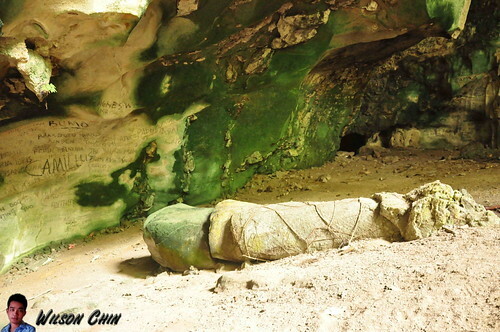 By the way, I live near Tebakang but I didn't know about this cave. Thanks for sharing. Those photos are very adorable. Two thumbs up for your works! Nice post, Wilson. 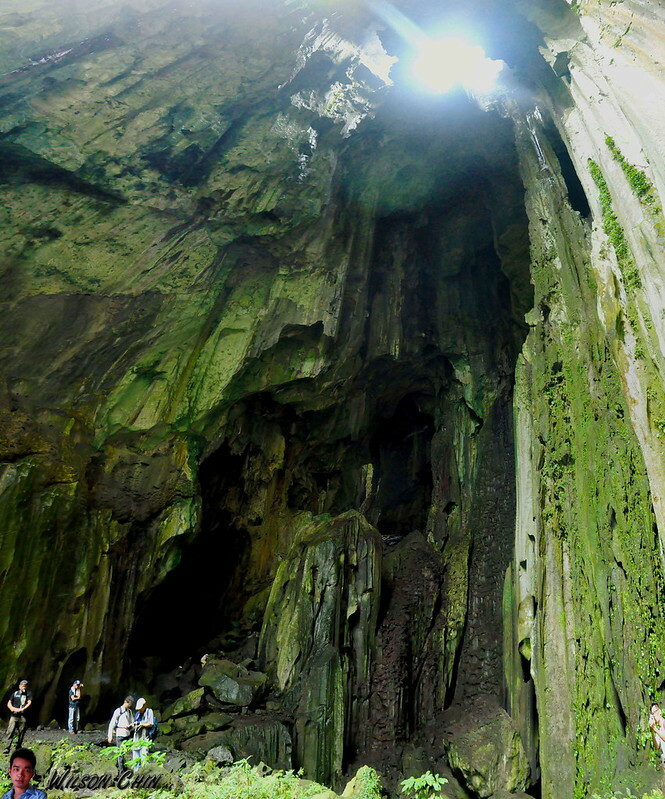 We used to go to this cave long time ago when we're still a student at SMK Tebakang. Have not been there in recent years. If not mistaken, not far from Kpg. Pichin which is just further up from Kpg. 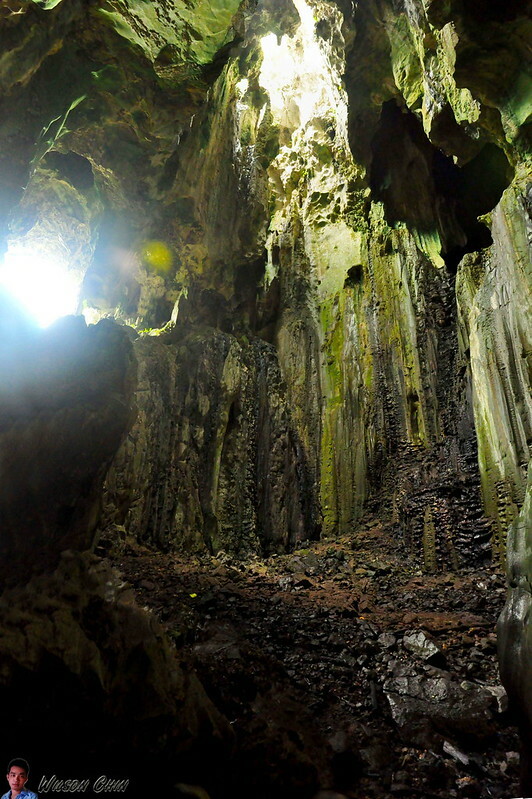 Tebakang, there is an underwater cave where you have to crawl in from a river to get inside. I forgot what was the name of that place. LOL. Willie lives further up from Kpg Tebakang almost near to Tebedu. We should check this place out someday.